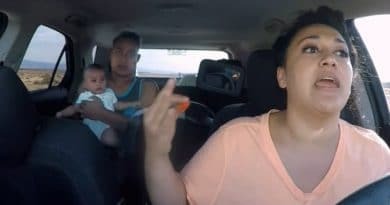 90 Day Fiance couple Kalani Faagata and Asuelu Pulaa treated fans to big updates in a recent YouTube video. The couple apologized for the lack of updates regarding their baby on the way and other life events. In the latest video, they talked about everything currently going on in their lives and revealed some big news as well. What’s the latest on this TLC couple? One of the things that fans want to know is when Kalani Faagata will give birth. The boy on the way is the second child for Kalani and Asuelu Pulaa. In the video, Kalani revealed that her due date is April 30, 2019. In addition, the couple discussed baby names. They seem to have it narrowed down to Asher or Kennedy. Asuelu wants a Samoan name but it looks like they’re going with an American one. Kalani said that Kennedy is the English word for her dad’s name. 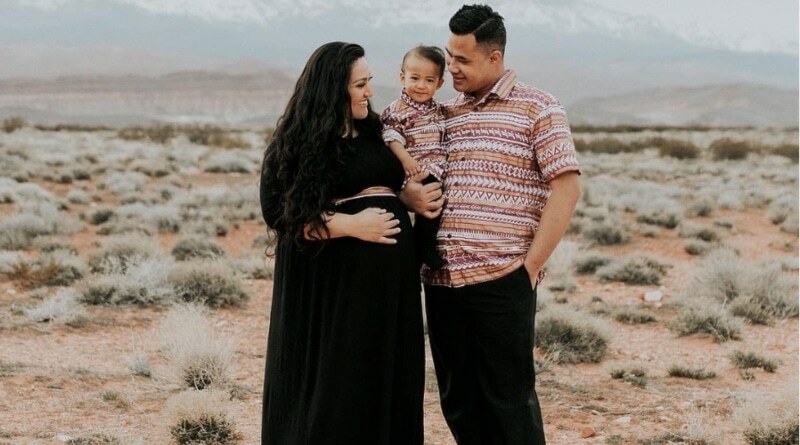 Further, Kalani Faagata revealed that the The couple don’t have the hospital bag packed yet in advance of their son’s birth. They have a few weeks before the scheduled due date but it’s possible that the baby comes at any time. 90 Day Fiance viewers will definitely want to keep an eye out for more updates from them as Kalani’s due date nears. In other news from the couple, Asuelu Pulaa showed that he got his work permit. He can officially work in the United States. He asked their fans to help him find a job. In addition to playing video games and taking care of baby Oliver, Asuelu also works with a children’s group. There’s a short clip in the video of Asuelu leading a group of kids in a Samoan chant. 90 Day Fiance Kalani Faagata joked that Asuelu Pulaa plays PlayerUnknown’s Battlegrounds all day. Further, she said that they’re happy he has his work permit so he can do something else aside from that. Asuelu even gave a shout-out to the people he plays with online. When it comes to playing PUBG, Asuelu said: “I’m gonna [go] professional”. He also works as part of a Samoan dance troupe that performs at special events. Recently, they worked at a travel expo in California where he hung out at the convention center in full Samoan regalia. His dance group also performs at weddings and other festive occasions. So, if you’ve got a bog event coming, and want some Samoan flavor, Asuelu Pulass is your go-to guy. What’s Next for Asuelu and Kalani? 90 Day Fiance turned hubby Asuelu Pulaa revealed that he turns 24 next month. He and Kalani Faagata will go to Las Vegas to celebrate. Asuelu said that he’d give everyone the address of the party, but viewers may have to take that as tongue-in-cheek. At the end of the video, there are clips of the happy family living their everyday lives together. Asuelu even played a prank on Kalani while they were out food shopping. It’s definitely a feel-good video leading up to the new baby’s arrival. Recently, Kalani hinted that she wasn’t doing well with her pregnancy. She cited both mental and physical issues. Kalani was all smiles in the latest update. It seems her family really stepped in to help her with her struggles. Now, all that’s left for the TLC duo is to wait for baby Kennedy or Asher to arrive. 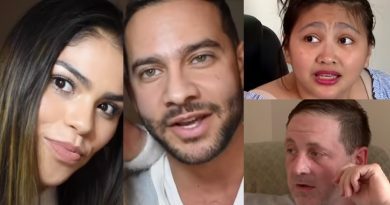 Come back to Soap Dirt for more on Kalani, Asuelu, and other 90 Day Fiance spoilers.